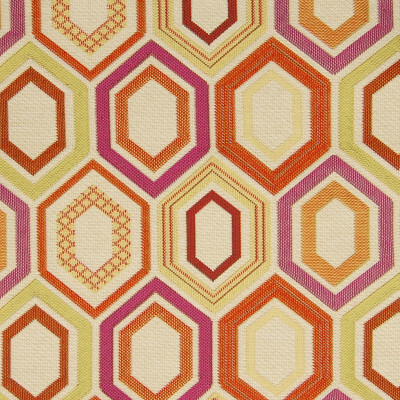 This active pattern comes to life with its mix of jewel-toned colors. Create a celebratory feeling in your home every day when you use this multipurpose material as an accent. Compliment your modern art collection or the quirky charm of vintage furniture with a set of square pillows in this funky motif. 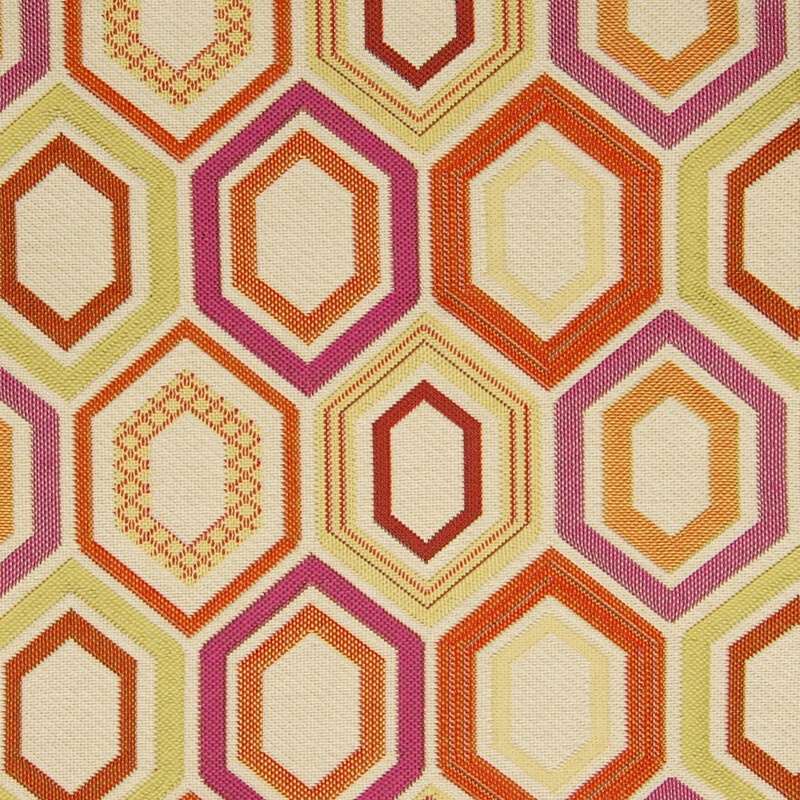 Its honeycomb pattern is filled with electric shades of orange, red, lime green in a range of subtle textures, creating a patchwork effect against an off-white background.